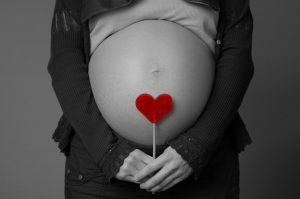 I have the opportunity to weekly interview a number of awesome women who are interested in being gestational surrogates. Some are stay-at-home moms, some are nurses, some are in school, some home-school. Yet there is a common thread amongst all of them – the strong desire to help others. I do see other commonalities – many are in some sort of service industry or healthcare, a large majority have at least two kids, but none of them ever consider the surrogate baby to be theirs. In their words, “I am just a vessel”, or “I’m loaning my uterus”, or even “It’s their bun, my oven!”. So, what does it take to be an awesome surrogate? We look for a number of traits – a good personality, dependability, friendly interaction with the future parents, and a proper emotional state for being able to go through all of the medical testing, pregnancy, delivery, giving the baby you’ve carried for 9 months to his/her parents, and going home. It is certainly not for the faint of heart, but for those that do it, the experience is amazing . Physically, we look for candidates to be between the ages of 22 and 38, a healthy weight for height (BMI less than 32 – check it here), have at least 1 prior pregnancy and birth, and the pregnancy and birth be relatively uncomplicated (no pre-term labor or delivery, no pre-eclampsia, no gestational diabetes). Socially, we select candidates that have a healthy lifestyle (no smoking, second-hand smoke, or drug use), live in a clean environment, be able to pass a psychological evaluation and criminal background check, are married or single (cannot be separated and do surrogacy in Texas unless husband will agree to sign all paperwork), and have raised at least one child in the home. And finally, we do not accept candidates that are on any sort of public assistance. The reason is not that we take issue with people using Medicaid or Lone Star, but rather that (1) receiving compensation as a Gestational Surrogate will affect your ability to get benefits, and (2) many future parents want to be sure that their surrogate is in a financially stable environment. Once we receive and review a completed application that meets our general requirements, we’ll schedule an interview. You’ll meet with one of our case managers and go over the application, discuss the surrogacy process, and give them an opportunity to get to know your personality. This helps in the matching process. You’ll be given forms to complete, including background checks and a medical records release. All medical records pertaining to birth and delivery will need to be reviewed by our medical staff. Do you have insurance? Having insurance that has NO exclusion for gestational surrogacy always helps when it comes to the matching process. The surrogacy journey is very expensive for intended parents, and having insurance that will cover the pregnancy will help cut costs. Our surrogates that have insurance generally match the quickest, but that’s not to say that those without insurance don’t get matched. It may just take a bit longer. As we receive calls from Intended Parents in need of gestational surrogates, we often have in mind a candidate or two to share with them right away, just based on knowing everyone’s desires for the surrogacy and personality. We’ll send profiles for them to review, and the Parents will select those they want to interview. **Remember** These parents are looking for someone to grow and babysit their babies for 9 months! They are going to seek out the candidate that suits them best. Your profile responses and photos need to be the very best representation of you possible! Repeat surrogate – compensation is negotiable, starting at $25,000. There are other benefits as well, including maternity clothing allowance, monthly nonaccountable item allowance, travel, extra for twins, c-section etc. Compensation is generally paid out monthly. If you do not become pregnant at the first transfer, often the process will be repeated. Generally, a surrogate will sign on for 3 attempts. But, when you find out you are pregnant – that’s when the fun begins! And you’ll have a great time figuring out how to tell the parents, and waiting for the first ultrasound, and attending the doctor visits together, and getting ready for the birth! So, you think you have what it takes to be a Gestational Surrogate?? If so, visit our website at www.3sisterssurrogacy.com to start an application, or email us at info@3sisterssurrogacy.com.